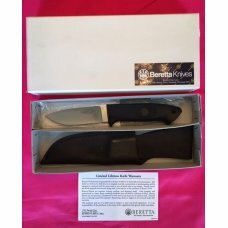 This is a brand new in the box Beretta R.W. 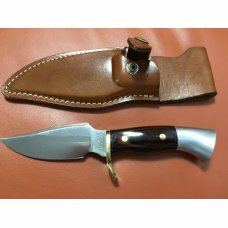 Loveless design drop point hunter. 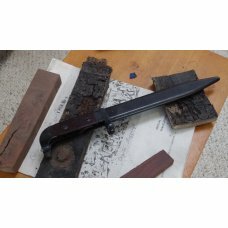 These knives are made by Moki in Seki City, Japan. 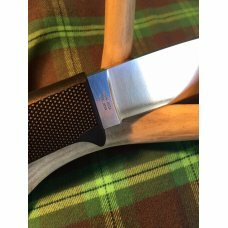 The blade steel is a deep hollow grind with a satin finish that is AUS 8. 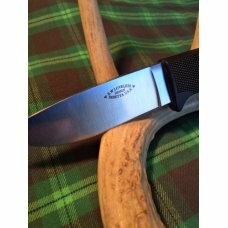 The tang is encapsulated by a very ergonomic and nicely checkered zytel handle that also includes a lanyard hole. 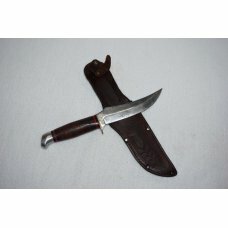 It is very sharp right out of the box and has great balance. 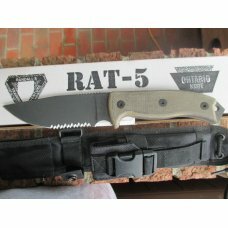 Blade length is 3.38”. 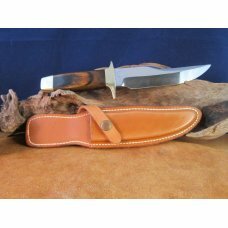 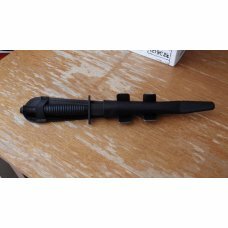 Overall length is 8”. 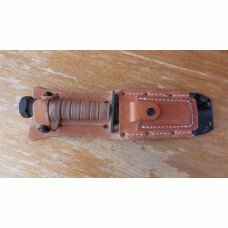 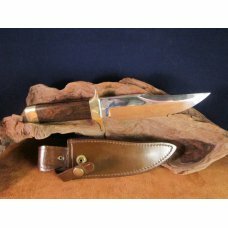 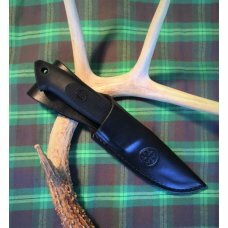 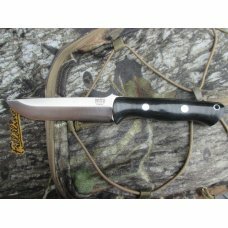 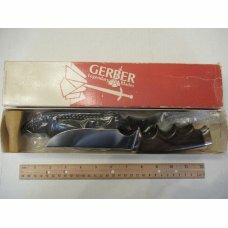 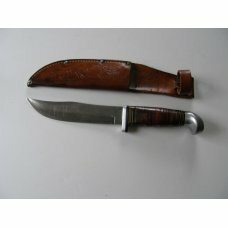 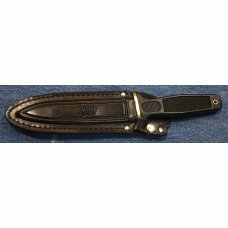 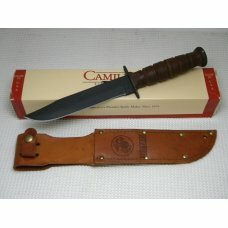 It comes NIB with a black leather sheath that is made in the USA. 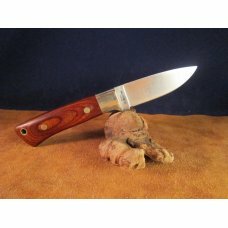 This knife is an unbelievable value. 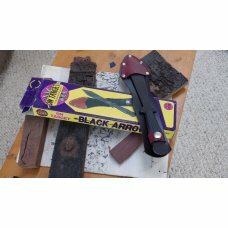 The short video below says it all. 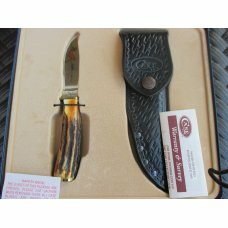 The price is $40.00 and the shipping is free. 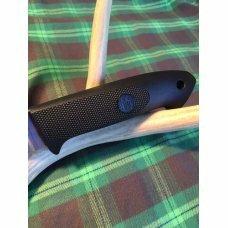 Thanks for looking at our products.